I bought a new car but it keeps having problems. I'm tired of going back and forth to the dealership only to have something else go wrong. Someone suggested that this car might fall under the "Lemon Law." How does that work? I am an attorney specializing in "Lemon Law," the colloquial term for automobile warranty law. This has been the focus of my practice for 23 years and I have handled thousands of actions against manufacturers on behalf of consumers who bought bad cars, along with various suits over defective RVs, boats, personal watercraft, and even things which were not transportation, like sewing machines and furniture. If a consumer product comes with a warranty that is not being honored, I'm the guy you call. At least in Michigan. Sometimes I handle other car cases as well. Here is a quick overview of how Lemon Laws work. All 50 states have laws which protect buyers of new cars. They are often known by names such as The New Motor Vehicle Warranties Act. They vary from state to state so what follows here is a generalization. For instance, some states do not cover anything but cars and passenger vehicles. Other states cover RVs or larger trucks. A few states cover used cars but that is less common. If you are in a state with a lemon law that does not cover your product, you might still have coverage under a Federal law called the Magnuson-Moss Warranty Act, which is a topic for another day. 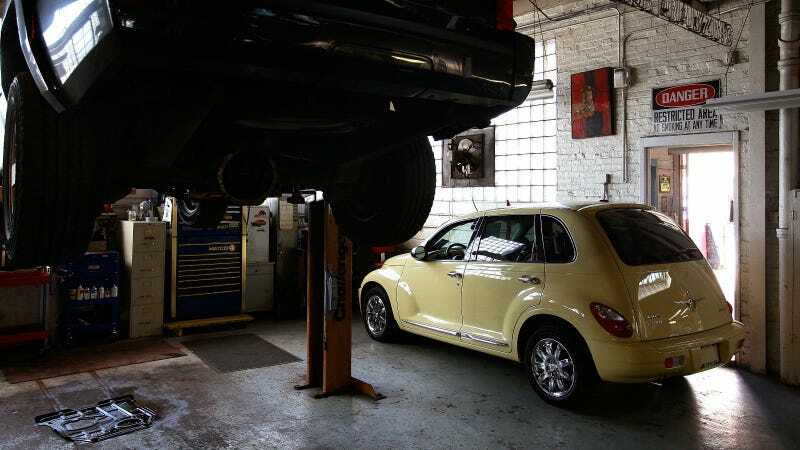 The typical Lemon Law stipulates that the car buyer is entitled to a remedy if one of two or three circumstances occur. 1) The car is out of service for a set number of days in the first year, usually around 30 and it remains defective. 2) The car is serviced a set number of times for the same problem, usually three or four within a set time frame, and it remains defective. Typically, the problems must occur within the first 18 months or two years of ownership. Or, 3) The car suffers a set number (less than #2) of catastrophic defects – such as brake failure – and remains defective. #3 is the one which is adopted by fewer states. For example, Michigan does not have this. So, my client whose steering wheel FELL OFF IN HIS LAP while driving down the freeway did not qualify under the lemon law the first or second time it happened. He had to wait until it happened a couple more times. Typical example: man buys car and the engine fails. The shop has it for 35 days to repair because they are "waiting for parts." We have a lemon. Or, the engine fails, is repaired, fails again, is repaired . . . when you hit your state's magic number, you have a lemon. What qualifies as a defect? Again, this will vary from state to state. Most states say that the defect or condition must "substantially impair" the use, value or safety of the vehicle. Some defects are obvious (no-start, engine failure, transmission failure etc.) while others fall in a gray area (wind noise, water leaks, excessive tire wear etc). There is no bright line on this so you may need to speak to an attorney (see below). Most states require you to write a Last Chance Letter to the manufacturer to notify them of the impending lemonhood of the car. Note that this goes to the manufacturer and not the seller. Lemon Laws make the manufacturer step up and take care of this. You can usually send the last chance letter before your car outright qualifies. In Michigan, you can send the letter after the car has been in the shop 25 days in the first year or three times for the same problem. You send the letter and the manufacturer usually ignores it. But, if they offer to fix the car one last time, you let them try. They will fail. If they knew how to fix it, it would have been fixed long ago. However, as noted above, the defect must continue to exist for your car to qualify. If it gets repaired and stays repaired then you don't have a case. If the last repair, however, does not "take," then you are in business. I have had potential clients who suddenly realized that their car – after the tenth or fifteenth repair attempt – might be a lemon. They call and tell me that the car is now running fine. The last repair did it. At that moment, they have no case. If they had called a few repairs back that would have been quite different. The problem must still exist for the vehicle to qualify. When your car qualifies as a lemon, you are entitled to a replacement (non-defective car of equal value) or to have the car bought back (or, if a lease, to have the lease canceled and unwound). A refund entails the money you put into it, less a mileage offset, usually for the mileage you put on the vehicle before the first repair attempt. In Michigan, the law prorates the value of the car over 100,000 miles so you lose 1% of the purchase price for each 1,000 miles you drove before that first repair. You will also be charged mileage for any miles over 25,000 if the car makes it that far. If the vehicle is being financed, the loan will be paid off and the law requires the bank to cooperate with the transaction. As a practical matter, many cases settle for cash. The manufacturer offers the consumer money to go away and for attorney's fees. If the consumer is paid enough to make it worth his or her while, this will often make everyone happy. (Manufacturers prefer to not buy back vehicles because of the ramifications of having to dispose of them which is another story altogether). In a successful action, your attorney fees and court costs will usually be paid by the manufacturer. (The language on whether fees and costs are permissive or mandatory also varies from state to state.) That is how attorneys like me can afford to take these case. Most of the time, my clients couldn't afford to pursue these cases without the statutory fees. In light of the above, here is what you need to do if you are a new car buyer. Save your purchase documents. Then, if the car acts up, bring it to the dealer and make sure they write it up properly. Get a copy of the repair order and save it. I have had great cases which were severely harmed by a client who brought a car in and was told, "It was covered by warranty. You don't need an RO." Steve Lehto has been practicing consumer protection and lemon law for 23 years in Michigan. He taught Consumer Protection at the University of Detroit Mercy School of Law for ten years. He has been quoted by The New York Times, The Wall Street Journal, and has appeared on CNN and the BBC. His writing has appeared in the Michigan Bar Journal. He has testified before the Michigan legislature several times on consumer-related topics. He wrote The Lemon Law Bible and hosted two different radio call-in talk shows to answer legal questions.